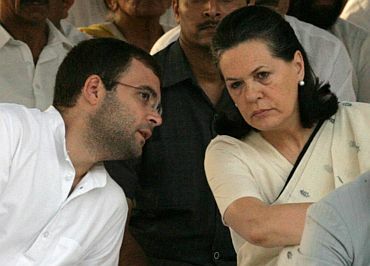 Making a scathing attack on Governor H R Bhardwaj for recommending president's rule in Karnataka, Bharatiya Janata Party chief Nitin Gadkari on Monday said he is "totally misfit" for the post and should better be made "AICC special invitee" to work as a "good assistant of Sonia Gandhi". Gadkari said the governor's action and behaviour is a "black spot" on democracy and constitution and he expects that the Centre will take a right decision after the criticism Congress is facing on the issue in the country and in media. We have won all the three seats in by-election. The MLAs who have been reinstated following the Supreme Court order are supporting BJP. We have majority. The governor does not reply when the chief minister writes to him seeking permission for a floor test but recommends dismissal of the government to the home ministry," he told mediapersons in New Delhi. 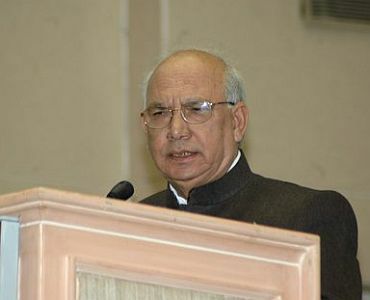 The BJP president alleged that Bhardwaj is working "at the instance" of Congress and United Progressive Alliance government. "The good place for Karnataka governor is as a special invitee for AICC. He is totally misfit for the post of governor. 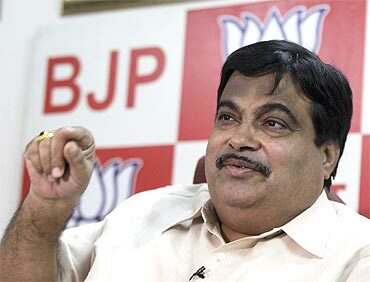 He can be a good assistant for Sonia," Gadkari said. He also flayed the UPA government over hike in prices of petrol and diesel. "When government hikes fuel prices, tax also increases. They could have given a respite to the poor by giving tax relief. The decision is an injustice to the poor." Gadkari claimed the increasing inflation, poverty and hunger are due to "wrong economic policies and corrupt administration of Congress" and the party, instead of removing poverty, "are destroying and decimating the poor". When the country got a financial expert as prime minister, it was expected that he will bring good economic policies but the opposite happened, the BJP leader said. 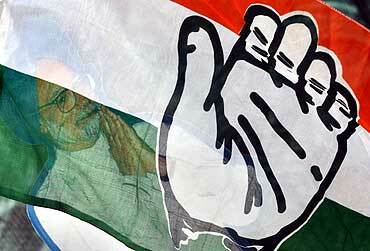 "Sonia says Congress' 'hand' is with the common man but it is actually picking the pockets of common man. The poor are in such a state that they have no other option but to commit suicide like farmers did," he said. Earlier, at a national convention of Bharatiya Mazdoor Mahasangh, he said dynasties are "taking over" democracy. "I have no problem if the son of a politician has the ability and wants to be a politician. But some people get their party as inheritance and treat it like private property and people also run after them though they have no idea of issues of poor, farmers, workers. People feel no shame giving tickets to their relatives," he said. "Anek partyon mein malik aur malkin hai aur baki sab naukar ke tarah kaam karte hai (There are many parties in which there are some owners and others work like servants), but BJP is a democratic party," he said. Gadkari also took a dig at the Uttar Pradesh government, saying, "I saw big parks and statues there. That money could have been used for houses, health, employment for the farmers. But people only indulge in sentiment-based, caste-based politics." Debate: Was K'taka Governor H R Bhardwaj right?